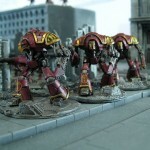 It looks like Knights are about to return to Warhammer 40,000 in 28mm scale. 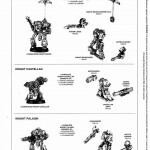 Before they become the new hotness, I thought it might be fun to run through their history. 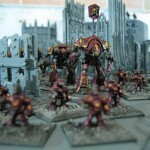 Shortly thereafter, the two games were combined into a single game, the second edition of Space Marine. 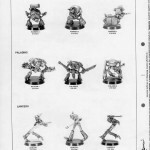 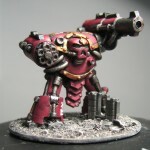 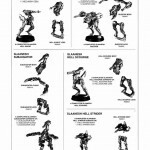 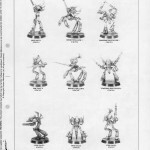 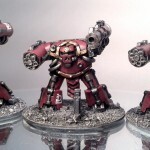 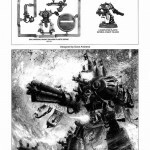 The Ork and Squat Warlords expansion introduced the Stompa for the Orks, but it wasn’t until 1994, when the Titan Legions expansion was released, that Knights were given a refresh. 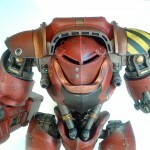 Space Marine/Titan Legions was retired in 1998 and replaced with Epic 40,000. 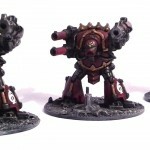  The stripped-down and fast-paced gameplay of E40k wasn’t really suited to Knights, which had previously had lots of special rules (Knight shields, lances etc). 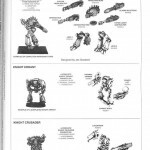 Epic: Armageddon had limited support for them as “Collector’s Models” but as well all know, that didn’t last long. 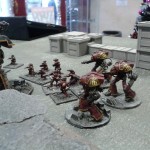 Gaming with Knights is, of course, alive and well in the fan-supported games NetEpic and NetEA. 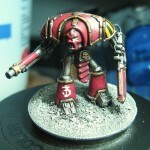 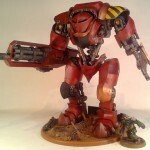 Recently, a lot of Epic gamers have been producing Knight armies, inspired by both the Mechanicum novel from the Horus Heresy series, and the amazing chevaliers produced by Thom. 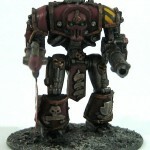 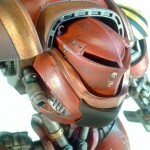 Dreamforge Games also produced their Leviathan Crusader which many (including myself) use as a Knight. 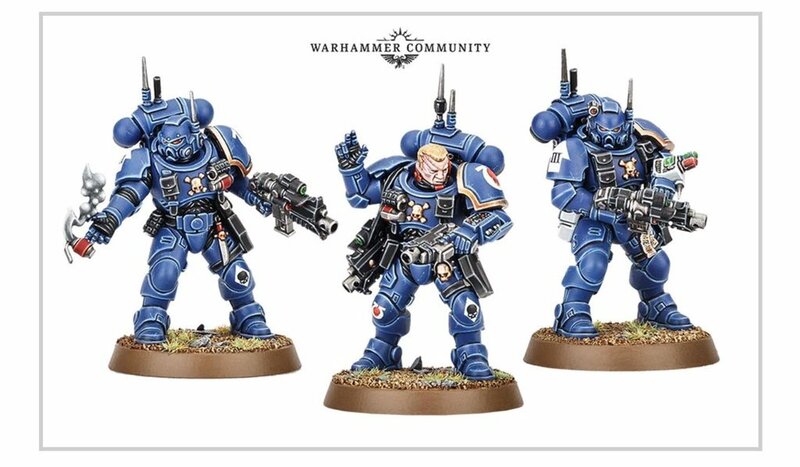 This vibe appears to have been picked up by Games Workshop, who have now apparently delved into their back catalogue looking for some cool new super-heavies for 40K. 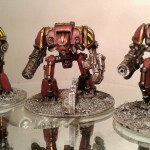 So it looks like Knights might finally be getting the attention they deserve!